Important Update Concerning SICK Automation and Control Product Availability from Kempston Controls. SICK, one of the World’s leading manufacturers and suppliers of automation and control products will be staging a phased removal of a number of ranges of their existing product portfolio during the Spring and Summer of 2019. Are you looking for a durable and tough Sounder or Beacon/Sounder solution that can stand up to the rigours of an intense industrial environment? 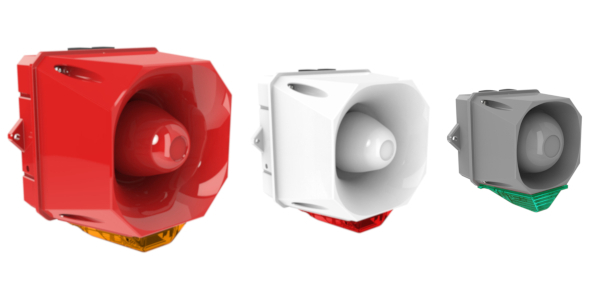 Then the X10 Range of Sounders and Beacon/Sounders is just what you have been looking for. The innovative wireless safety system UH 6900 of the DOLD SAFEMASTER W series ensures the safety-oriented, wireless transmission of emergency stop and control functions.